Been browsing through some of the photos and noticed how some calves haven't change much since they were young and some looked like a different animal. It's so interesting to see them change. Some can turn from a mediocre animal into something special. Everybody are welcome to post their examples of a good- change with time- example! Some details like age are appreciated! Some from myself, which have impressed me quite alot. At 16months age. Had to make sure that it's the same animal! ~13 months old. A tiny one. With the second calf. She turned out to be one of top cows by her qualities. ~6months old. A pretty good calf, but not something extraordinary. 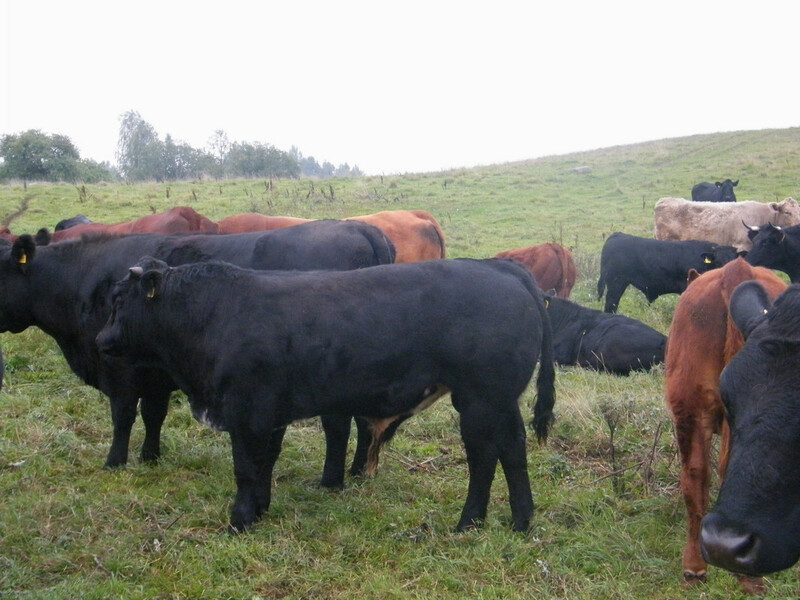 All are sired by Limousine bulls out of angus, limousine, belgian blue x dairy cows. Showed them just as examples of how some calves can change alot with time. Many calves don't change much except for the size and a bit of length. Welcome to CT Josher. Can you post in your profile where you are from (general area like state). Also, realize that Lithuanian Farmer is in Europe.... they have a different market for their calves, and sell all as bulls, to kill, they don't castrate or dehorn. 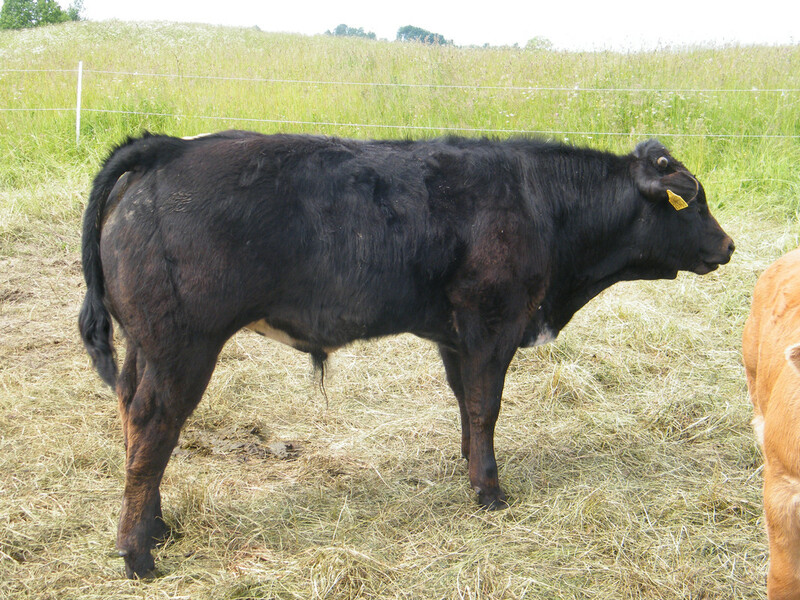 I personally like the double muscling that they have, but it is not in vogue here and black is what sells in our area even though I like red cattle. Love their pictures. Thank you farmerjan and yes I will fill in location on profile. I’m enjoying these forums especially on the -35C days. Ok yeah I imagine cattle raising practises in Europe will vary quite a bit from ours then. Yeah black has gotten premiums in our area for while now but might not be much of a difference in price anymore. Calves can do well on grass and milk if you want to sell them weaned as long as their dams have enough of feed to produce enough of milk. Plenty of milk is very important. We've mainly winter-spring calving season, calves are weaned in fall, so usually no grass after weaning until next spring. Last year was the first year when have introduced some meal to the calves while they still are with their moms. They don't have it all the time. I bring some once everyday. Weanlings start getting more meal (that's probably what you call creep). They all get average of 6.6lbs a day per head. We push bulls harder with meal in summer when they are on grass. Amount is increased bit by bit up to ~20-22lbs/head/day. Fed twice a day. If grass is good ours have reached an average of 6lbs/day weight gain, with the biggest being 6.8lbs'day. But that's the feeding to prepare them for the slaughtering, to reach their best shape. 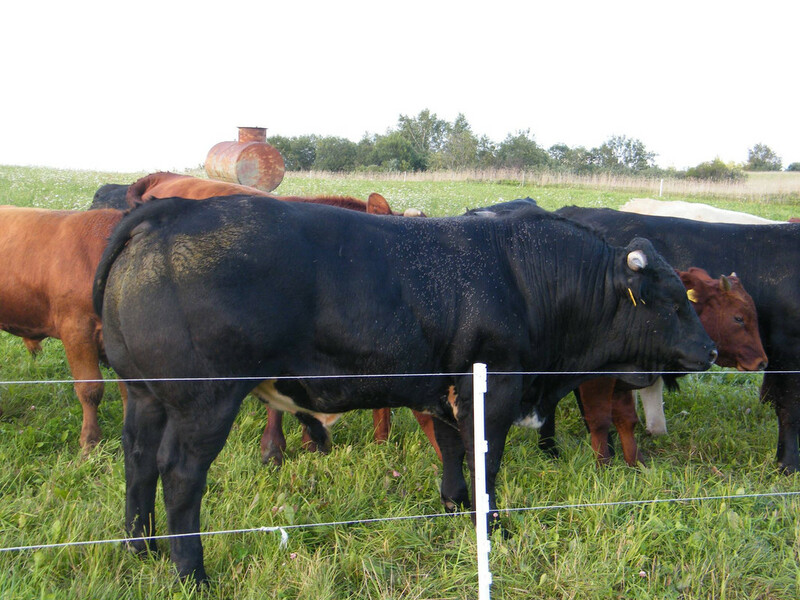 Angus on such diet grow really well, but they get fatter much faster than limos. Limos would need several more months to reach such fat cover. Not sure what your overall system is, but if your cows are milky and your chosen bull has a good shape, calves should look good at the weaning. Creep feeding won't harm, but better to see if you really need it. If there are calves which seems to not get enough of milk, creep feeding abit will help for the calf to grow and not to fall back from the herdmates. Interesting how things are done over there. Those sound like good gains. Yeah we don’t finish any of our calves just sell them at weaning time or couple months after. The limo breed seems to have more muscle and good hind quarter. Sure hoping this bull stamps that into calves. Thinking we’ll just raise them on grass and compare to the other calves the first year. Most of our cows have good milk so we’ll see what happens. Creep feeding is just feeding grain to calves while there still on the cows and so that cows can’t get through panel to the grain. Just curious what is in meal? We mix our meal ourselves. Last year have used wheat, corn+sugar beet mix, rapeseed meal and minerals. At the moment the farmer we buy wheat from don't have any, so have bought just peas. Now feed peas, corn+sugar beet mix and minerals. Will increase the amount of meal and bring back rapeseed meal, or will try out soya meal in the summer. Post some photos of your cattle. It'd be very interesting to see, especially the bull! I might post some pics at some point but haven’t figured out how to yet on my phone. An impressive rump even at 6 moths! He sure was nice. And with age he looked even better. Wish we had more calves like him. That's him at ~10months age. The problem I'd have ""here"""with him is his out of proportion looks, at six months..when he's weaned and sold..he's developed into a good looking animal though..